Could This Be The Reason Traumatic Brain Injury Is Misdiagnosed and Untreated? What is the real reason traumatic brain injury is misdiagnosed, untreated or under treated? Do we have enough rehabilitation centers in America to accommodate 1.7 million people every year? Is this a national problem or local issue? I cannot believe they missed the most obvious of all … brain injury. I was the patient with all the issues…but the healthcare professionals still expect you have it all together to let them know what’s going on. What one does know is most head injuries, strokes, and many diseases of the brain are not classic in any way. The emergency room personnel look for only the classic obvious symptoms: one sided weakness, dropping of the facial muscles, slurred speech, and others. These are not necessarily symptoms that appear with the 1.7 million traumatic brain injuries every year. So I’m trying to figure out the most important education to be given to our healthcare providers. Here is what I do know. 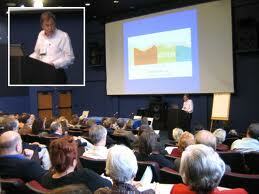 Only about one year before my TBI I attended a Brain Injury Conference in Newark, New Jersey. I loved my career, enjoyed everything I was doing, worked full-time as a rehabilitation registered nurse specializing in brain injury and neurological conditions, research, community projects and others. Attended the conference with hundreds of other professionals and disciplines. I sat in attendance with all those professionals while the speaker who was describing her day dealing with a mild traumatic brain injury. I listened intently, but as much as I am sad to say … I along with everyone in our group from various disciplines and facilities joked about their disbelief in the speaker’s symptoms. The speaker, a traumatic brain injury survivor had such an array of symptoms I too found it unbelievable but I knew why I felt that way, and I did not share my feelings with anyone else. Worse yet, I found all of my colleagues in disbelief. They too may have been justified in how they felt, because we all have injuries to varying degrees in our life. No one shared any personal experiences, so I don’t know the answer. First, I listened to what other professionals had to say and they just did not believe anything she was saying…but I did believe she was an excellent speaker and effective. I won’t go into specifics as I can’t answer for others actions and beliefs. Second, I also questioned the validity of her symptoms but maybe for very different reasons. I want to explain why I found it unusual. What others did not know about me. I know why I found it unbelievable. I had many significant injuries before the one in 1991 and I recovered from all of them. A few included but not limited to many concussions from being an active child; I was 1 of 9 to survive carbon-monoxide poisoning at the age of 10; at age 16 I was assaulted in back of head (mistaken identity! ); and at age 32 head-on car collision … and a few things not worth mentioning. I did not have any lasting consequences from any of the injuries. In retrospect, maybe brief symptoms but nothing that changed my life. I truly did not understand why or how the speaker (TBI survivor) could have all these symptoms and all the problems. I knew what I had been through and did not have any problems. Not even one symptom mentioned! I just did not understand it! I GOT IT NOW, and would never think as I once did! I truly understand now…way too well now. I wonder if that is part of the reason for the lack of interest, lack of education, lack of understanding, lack of research, lack of treatment, and possibly the lack of self-awareness! On the other hand, I had a young female TBI patient who made specific complaints about a respiratory therapist. I never had problems believing or listening to my patients. I had no reason to question her validity of what I was being told. When I brought this up to my colleagues I was told “She has a brain injury”. I was the only RN scheduled to be on at midnight this particular night when the respiratory therapist was going to visit with this young beautiful woman. Eventually, other nurses listened to what I was telling them and we staffed accordingly. There was a plan in place to protect this young woman. At exactly midnight he entered the rehabilitation unit and went directly to her room. He was followed by staff while I contacted supervision. Yes, he was fired immediately. If I didn’t listen and wasn’t assertive…no one else believed her simply because she had a brain injury. Things could have even been worse than what she already told me. Nurses have to document to protect the system, not the patient. I was told to change my documentation. I did not and would not. Most do change the documentation, they need the job. So did I, but I stand by what is right as a patient advocate. This was not an isolated incident at this institution. So, maybe this is the reason to placing blame when a 13 year old fell out the window to his death from the 5th floor rehabilitation unit. I was not working at the time of the incident…but when are nurses responsible for the construction of the building? When I was injured in 1991 and I gave a proper medical history of my injuries I was told “That happens to your patients!” I thought a history was to help with treatment. I now believe giving a proper history was a hinderance to receiving prompt and proper medical care. That complicated with the cover-up of medical errors instead of just helping and correcting the wrong errors. 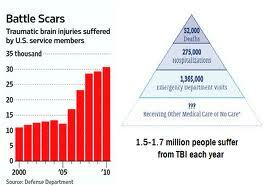 There is greater awareness to TBI than 2 decades ago, but there was plenty out there 20 years ago! I was working in head injury-neurology rehabilitation and there was not the lack of knowledge…maybe more lack of dedication to those that worked in these areas. Knowledge was limited compared today’s standards, but this was/is Level 1 Trauma Center. Maybe these issues are a much bigger picture than traumatic brain injury. Maybe the start of resolving the underlying problems are finding out why and how many nurses and healthcare professionals are satisfied with their jobs? If they are not satisfied they are not willing to attend conferences and do further research. Hence, everyone suffers from the individual, to families, to communities. No one wins with Traumatic Brain Injury, but we need to pursue this avenue so Ongoing Rehabilitation is available to all patients so recovery is possible. There are lifelong consequences with periods of adjustment, adaptation, re-adjustment, alterations to life chapter circumstances, adapting once again … it’s a vicious cycle and forever changing. 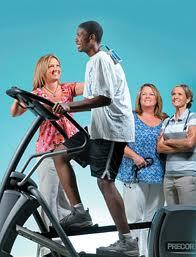 Patients should be able to re-enter rehabilitation when they need help for specific issues. Instead, the system uses all the days approved by insurance plans at the onset of injury. Most TBI survivors don’t know the real issues until they are at home and need to live “as they once did”. Symptoms remain unpredictable. They truly do not know what they are dealing with until they are at home. Now, my friends are forgetting things and they get upset over forgetting “car keys” or one item. What a delicate issue for them! Forgetting? I have mastered compensating with cognition and tasks, it’s become routine. Partly owing to accepting forgetfulness and otherwise the brain making excellent connections to remember. So as time goes by and my peers get upset over the simplest things…I wonder “multiply forgetting one thing times hundreds in one day” and wonder if they could cope like TBI survivors…but as they age they are less tolerate to the “forgetting issues and are far worse off than TBI survivors. Overtime, you compensate for things that as one ages they begin to deteriorate. If you keep your brain active and challenging, you will be better off than your peers! I feel compelled to write this specific article because it is Brain Injury Awareness Month – March 2012. Anywhere, Anytime, Anyone. Brain Injury is the one minority group anyone can join in less than a fraction of a second. I want to help prevent others from becoming part of this minority group through education. This is not an individual injury. It changes the family forever. Most friends leave and others who are true friends stay. I married my best-friend and he’s still by my side 40 years later. I give him so much credit for being here for me, but than again he reminds me I have never been and never will be a needy person. He reminds me that if I had been a complainer, I would have received treatment. My children also lost the active-mother they once knew, but the same in heart, mind and soul. A mother with profound love, hugs, and kisses remained after injury. As far as most others, they really don’t count. So if the healthcare professionals do not believe the patient, how do they expect family, friends, and others to become educated, be supportive, and help with this devastating injury? Does job satisfactions equal patient satisfaction? Excellent, excellent writing. Well done! I have also really worried about the level of care offered to tbi survivors. I have seen the quality of care by my own doctor decline in the past couple of years, and I suspect that it has to do with my tbi issues, which they seem to expect to disappear. Or they get irritated that they have to accommodate me — as though writing down (or making time for me to write down) what they discuss(ed) with me and letting me make sure I fully understand what they talked about were a terrible inconvenience. There is so much progress to be made – but I suspect that until we connect quality of TBI survivor healthcare with some monetary value — say, profit margins or tax revenue — there won’t be much incentive to change. I also wonder if maybe this shouldn’t be raised with medical and nursing students *before* they become too traumatized by their professions to be open to learning new ways of thinking and doing. It’s frustrating. I wonder what will change things. Students are an excellent time for training. I am willing to do my part. We just need to figure out how. Biggest issue is this: They truly do not listen to their patients. It’s about least amount of time with the biggest amount of money. They only want one complaint, called your chief complaint and anything beyond that first complaint will not be addressed or taken seriously. TBI survivors have been affected in every single system of their body, and these professionals believe they are just complaining, malingering, hypochondriac. If they were listening they would be learning and headway would be more aggressive. There are so few professionals who know to treat TBI survivors for the number of victims there are in a given year. Sad! It’s remarkable that you and so many others are surviving brain injuries. The survival is not related to excellent health care… it’s just the opposite. Survival is related to the inner strengths and other variables of ones personality that bring them through this horrific ordeal and incomprehensible brain injury, symptoms, and events that follow. I’m happy to hear you have a couple good physicians helping that truly understand. There isn’t anything in our area of USA bringing brain injury awareness…just on-line that I notice! Placing blame rather than taking responsibility for addressing the real issue of brain injury seem to be a big cope out of healthcare professionals. I was talking to my friend who is also a medical professional about diagnosing TBI. My injury was not diagnosed at the ER following my accident. I spent sevreal days home alone. When it finally was diagnosed, one pupil was larger than the other and cognitively I was a mess. Know how many days I spent in hospital? Zero. I was sent home alone again! Fortunately, at this point, several of my co-workers were worried about me and made it a point to check in with me daily. My friend, Carol, often had me over to her house after work. My friend also became my advocate. I couldn’t manage the medical system, L&I, and my life. It was way too complicated. Had she not stepped in, and KNEW what was needed, I most likely would not have gotten the rehabilitation treatment and testing I needed. One thing that needs changed is the classification system. “Mild” TBi is a misnomer. There needs to be a protocol to follow suspected head injury patients at given times after the incident. Maybe after 2 days, then a week, then a month at the least. The classification should also take into account the presentation of the worst symptoms. Thank goodness for your friends who helped, especially your advocate…they most likely saved your life! You should have been monitored in a healthcare setting, but that’s not cost-effective! I do know in Michigan they are starting a program when someone has a concussion or any sort of brain injury and seek treatment at the ER they are followed from the start at specific intervals by a professional educated and understands brain injury (Physiatrist). At least that is a start in the right direction. Too bad it can’t be implemented throughout the world asap! Imagine how many lives would be improved or saved by this early intervention program. I’ll ask about the specifics at my next appointment and post it at a later date. you wrote: “Maybe these issues are a much bigger picture than traumatic brain injury. Maybe the start of resolving the underlying problems are finding out why and how many nurses and healthcare professionals are satisfied with their jobs?” Job satisfaction is important. Are nurses and other healthcare professionals working in this field because they love it and truly want to help? That is the ideal. And I hope we get closer to this. But since nurses, for example, are now paid more fairly — a higher pay, there may be people entering this profession who don’t have the love, empathy, and desire for answers that they should have. This was very interesting and informative for me. As a tiny child I was struck on the head. I’ve wondered how this affected me. Thanks for writing about this. Thanks too for the reminder that everyone should stop complaining about forgetting and be proactive in planning to live the best we can, making connections, and working around our weaknesses. Glad you’ve got such a loving husband and family! I appreciate your feedback. It can be pretty scary if we think about the numbers of nurses and healthcare professionals that are in it mainly for employment and personal financial freedom. It has been the one and only area consistently hiring over the years when other college grads cannot get hired. There is always a shortage of nurses…and when there was not a shortage it did not last long. So, recruitment for nurses has been booming and numbers have enrolled in these programs at least in part to a stepping stone…and a near guarantee they would be employed after college graduation. There are so many incentives to do this. By NO means do I suggest it is an easy degree … it is probably one of the most difficult. The healthcare professionals that are sincerely compassionate, wholeheartedly honest, and loving people are leaving these professions. Some need to stay for financial support, but would otherwise leave. Hopefully, many will stay and whether the storm and be leaders! We need to be proactive and protect our lives and health. Be a patient ADVOCATE for those one loves. Everyone thinks it won’t happen to them…I did too! I’m glad that you’re doing so well! So well that you are able to help others too. This means you’re living to the fullest, doing what you love and want to do. Thank you for taking the time to respond to me, and also visit my site. More examples of poor TBI diagnosis and treatment: After my 1994 assault and battery, the ER simply wanted to give me 2 stitches, I passed, the bleeding was well under control and I did not want a hospital staff hairstyle. An X-ray was standard practice then and not done. Would it have shown anything anyway? I went through a basic battery of questions etc. sent home with a list of concussion symptoms to watch for. I already knew this information from basic first aid. As a high school soccer coach, a soccer player was not allowed back in a game if head contact was an issue without a medical release -it was to protect me from liability. An asthmatic was not allowed to play without her inhaler in the first aid box either. My Father’s knee went out causing a fall backward hitting his head on a dock in 2009. He was 83 years old and unconscious for 5min. My Mom called me after his friends brought him home from the ER 45 min away. she told me the ER focused on his heart. Glad there was not an attack or stroke. I asked what they did for his head and did they tell the doctor that he was out and didn’t remember how he got from the boat dock to his friends house? Friends confirmed my dad told the doctor. After the phone contact, I called the Hosp. and demanded he have a CT scan-, which was standard practice. A scan was scheduled the next day nothing showed up, fortunately, he seemed fine. He has dementia now- after hitting a tree at 60mph 2010 due to sleep apnea; he is in a wheelchair with significant memory issues that keep him from being independent. Thank god he is alive. How many times has he hit his head in a lifetime? It is scary, my Father and I have too much in common now laughing that we cannot recall a damn thing or the name of someone or where we put something. I too was assed and found to have overnight dementia due to my “minimal trauma”. What will I be like at 88? I hope still laughing. Misdiagnosis lack of treatment: A possible answer is serious Re-EDUCATION especially in the ER a must. A Hospital implemented and insisted on retraining all staff on the exact due diligence hand washing method and significantly reduced their death rate due to infection to less than 3%. Then the training can be significantly effective insisting on standard procedure re-education at every level trauma facility, urgent care, walk in or office. Hospitals seek notoriety for great improvements a motivation factor. Expense $$$$- Yes, imaging is far more costly than soap. Soon more research and new diagnostic tools will result in greater understanding of the brain. Hospitals will no longer be able to be so remiss or egregious attempting to provide minimal treatment. Brain injury will become more measurable, imaginable, black & white; there will not be an option but to do detailed diagnostics and better Tbi treatment. Why, Tbi, diagnostics are limited today, are gray and arguable as we, all know from attempting to prove a work comp. or other legal claims. When improved technology in diagnostics and greater brain knowledge evolve, proving injuries will be more definitive. The medical community will not be able claim a person is fine or malingering because we will have the technology to prove otherwise. As improvements in technology and deeper understanding of brain, chemistry and its delicate functioning will drive practice change. The second driving force of change, litigious negligent claims will become easier thus forcing proper protocol & procedure in medical Tbi diagnosis and treatment. How do we get the money for research? 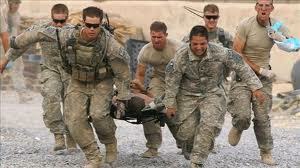 If we can quit spending on war and refocus funding toward better treatment for our service members. We must find time to write our congress reps etc. and be politically, passionately active learn how to better use social networking, Facebook and Twitter to speak out. You have so many excellent points here. I hope everyone reads this. I will reblog or post in a blog with your permission to reach those who do not read comments. I need to think about how to approach all your points, and I would like your permission to copy these comments. Thank you so much for all your information and insight. I have reblogged the “Lessons from the TBI Community, ADD and so-much more encouraging readers to visit the site and educate the world. I’m also encouraging comments, as always. You already know that I have linked this page as Related Content to the first of a several-part TBI discussion in the Brain-Based Resources Series on my ADD-focused site. I, too, hope all of my readers will jump over here to read what YOU have to say. I just wanted to leave you a comment thanking you for taking the time to visit, read and share with your readers — and to let you know (in case you couldn’t figure it out from the link ::grin::) that I am SO impressed with this article and with you. WELL done and VERY effective. The comments from your community members are inspiring and impactful as well. Nice conversation over here! The ONLY way things will EVER change is for more of those of us “in the trenches” to do what you so bravely did for that young woman complaining about the respiratory therapist – to stand firm and say, effectively, NOT ON MY SHIFT! Here’s the kicker – it’s always “our shift.” The world will change only when enough of us demand that it do so. Not ok is not ok! I’m not trying to rouse the rabble, merely to encourage every one of us to refuse to “make nice. ” Not ok is NOT ok. I appreciate your feedback and compliments. It amazes me how many professionals can’t stand up to what they believe. I did and always have, and that may be part of the problem not receiving prompt treatment…or lack thereof. What ever happened to independent thought? I love your comment “Can we start over and pretend I have a brain?”…that’s a great one!